Wasting water is not only bad for the environment and the wallet, but Southern California cities, counties and water authorities are determined to help residents decrease overall usage and water waste. It’s estimated that more than 50% of water consumed by most households is used to maintain landscapes and lawns, making irrigation one of the easiest places around the home to make adjustments. We’ll discuss tips for conserving water in the yard, point out opportunities for City of San Diego rebates and remind you what’s allowed and what’s not, given recent restrictions put in place. 1. Fix irrigation leaks. Save up to 10 gallons per minute by making sure drip lines and sprinklers aren’t leaking. Drip lines can temporarily be repaired with stucco or duct tape until you can buy small hole plugs at local nurseries or big retailers like Home Depot (they are very cheap). Have your gardener check irrigation systems on a regular basis if your schedule doesn’t permit that kind of maintenance. 2. Use rain barrels. As you may remember, we addressed how to harvest rainwater using rain barrels just a few weeks ago. 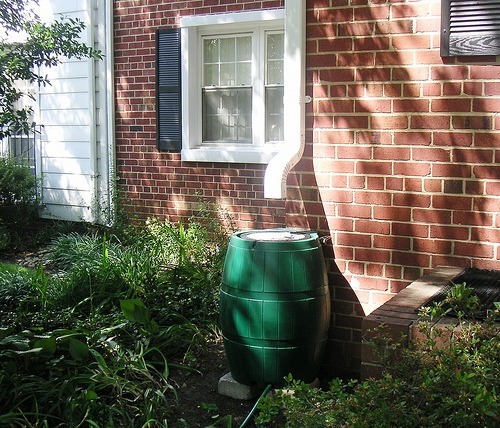 In a nutshell, this method allows for capture of rainwater by placing a rain barrel near a rain gutter downspout to then re-purpose around the home. And, depending on where you live, a generous rebate may be available to offset the cost of installation. It’s easy as well as a project that kids enjoy. 3. Put an auto shut-off nozzle on your hose. In this day and age there’s no reason to leave a hose running, creating a gush of water down the street. 4. Use mulch wisely. Layers of mulch should be at least 3 inches thick, keeping a 6-inch distance from tree trunks and plant stems in order to avoid mold. Mulch insulates soil from moisture evaporation and extreme heat that could otherwise damage roots. Mulch also tempers the force of rain, thereby eliminating run-off and erosion risk. Mulch could be bark, grass clippings, leaves and branches though if using a small mulch like double-ground bark, the thickness should be about an inch to allow for proper air circulation. 5. Water during appropriate times. Actually, in the City of San Diego, residents are only allowed to water before 10:00 a.m. and after 6:00 p.m. from June to October, and before 10:00 a.m. and after 4:00 p.m. from November to May unless a special permit is granted. The reason is to prevent the hot sun from prematurely drying water, resulting in a need for more irrigation to achieve the same results. It also helps to water during waking hours so that your chances of spotting a leak are higher. 6. Get a smart irrigation controller. A controller like this will automatically reduce watering times based on the season if programmed correctly (you’ll need to spend a little time doing this). A smart irrigation controller knows when the weather is cloudy or rainy and adjusts accordingly. The good news is that the City of San Diego is offering up to a $400 rebate for these controllers. 7. Use micro-irrigation (otherwise known as drip irrigation). Yes, there are ways to cover large areas using various forms of micro-irrigation that can easily be changed if you decide to switch out plants. Pressure in these systems (even with pressure regulators), pets and garden traffic often cause drip tubes to disconnect from each other causing blasts of water all over the place. Monitor drip lines frequently. Check for rebates as the City of San Diego offers them based on how large your yard is. 8. Book a WaterSmart check-up. 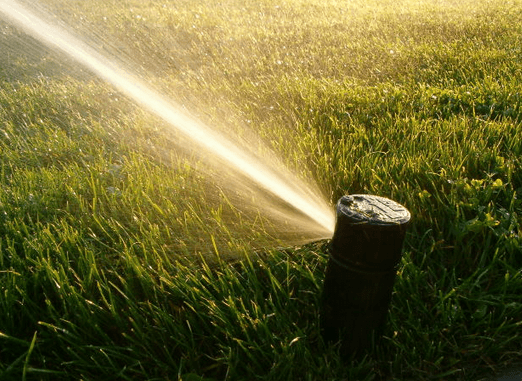 The San Diego County Water Authority and its participating agencies send a certified irrigation specialist to your home to make site-specific water-saving recommendations. Single family home check-ups also include recommendations for saving water indoors. This service is free of charge but participation is limited so apply online now. 9. Use a landscape watering calculator. Based on your zip code, the type of plants your watering, sprinkler system and soil, this online calculator helps identify how long you need to water for. 10. Consider lawn replacement. The very best way to implement smart irrigation is to avoid it entirely. 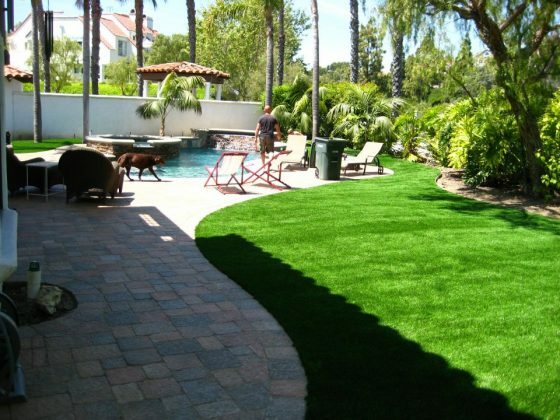 We can certainly help you decide if artificial turf is right for you. Right now, the City of San Diego offers a rebate on artificial turf installations. Concrete pavers are another popular way to add interest to a yard while eliminating irrigation needs. Or, switch the lawn out for succulents and other low-water plants. – If the City of San Diego becomes aware of a water leak and notifies the homeowner that a repair is necessary, the repair must be made within 72 hours. – Using a running hose to wash off driveways, patios, sidewalks, tennis courts and other paved areas is forbidden unless it’s to eliminate a sanitary hazard or a commercial water broom is connected to the hose. – Vehicles can only be washed at home using a hand-held water container or a hose with an automatic shut-off nozzle. – Decorative fountains must use recirculating pumps. You’ve probably also noticed that water at restaurants is given to you by request and that hotels offer the option of not laundering linens. Both of these eco-friendly changes are in response to city-wide restrictions. What are the ramifications? Wasting water is prohibited in Section 67.3803 of the San Diego Municipal Code. If caught, there’s an escalating series of penalties including warning letters, citations, civil penalties up to $2500 per day, water service shut-off or even referral to the City Attorney for civil or criminal prosecution. San Diego residents are encouraged to report water waste by calling the Water Hotline at (619) 515-3500. A live person will answer the phone to address the issue. Note that leaks happen all over the city so responses are handled according to severity. Keep calling if you spot a leak worsening before a responder arrives (I speak from personal opinion). 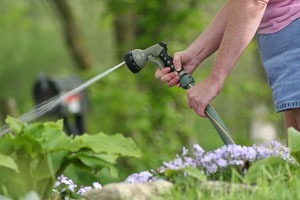 How have you cut back on irrigation in your yard? Be sure to visit Waste No Water for more details.